This tweak will install app with name “Snap Log” in home screen. You can also integrate it with Snapchat, and will add an extra option beneath the “Open Settings” button within the official Snapchat app. 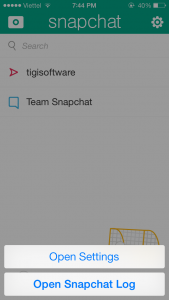 Tap on the settings icon to access the popup menu, then tap on “Open Snapchat Log” to view the log. To install. First you need to jailbreak your iPhone. 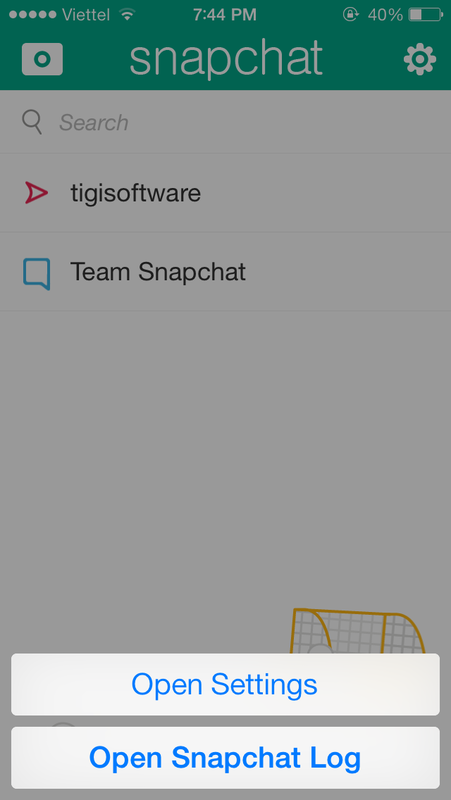 Then open Cydia, find “Snapchat Log”, and install it. Done ! I installed it on my iPhone 5s. it worked great. Thanks !! Hi i’ve used this great app and everything worked fine but when i’ve updated snapchat and snapchat log, snapchat log wont open anymore. I have snapchat v7.0.0 and an ipod 4 ios6. Do you know how i can fix this? I’m confused…. I can’t seem to find where I go to purchase a license. Every time I install it simply goes ahead and install the free version…. there is no option to purchase. I like your blog, greetings. that I’ve an incredibly just right uncanny feeling I discovered exactly what I needed. Everytime I try to purchase the licence it fails wtf? Let me know when you’ve fixed the problem please, oh and by the way its a great app. How come it doesn’t save all the snaps?